Looking for a Church? Please visit or give us a call. To seek first the Kingdom of God. To go into all the world with the Good News! To serve Jesus by serving others. Serving Madison County since 1830 as a Christian Church. Organized during the preaching of the restoration principle by several ministers in this area. It was a simple message of honoring Jesus Christ by returning to the Bible alone as authority for God's people. Located between Richmond and Irvine. 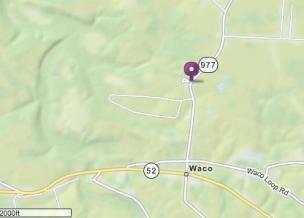 Turn North off Hwy 52 at Waco traffic light onto Hwy 977 (College Hill Road.) Church is on Left 3/4 mile from the traffic light. Flatwoods Cemetery is behind the church.